The technology company Continental has taken over the Czech machine tool manufacturer VÚK. The acquisition of VÚK strengthens Continental’s presence in the city of Otrokovice, Czech Republic, which is also the home to Continental’s largest tire plant worldwide with 4,500 employees. Together with the new unit Continental will be driving forward the development and production of tire assembly machines on the newest technological standards. Continental acquired 100% of the shares in VÚK, a company that had been for many years an essential supplier of components for tire assembly machines. “With this acquisition of VÚK, we are strengthening our production capabilities in terms of tire assembly machines and are therefore supporting our growth strategy “Vision 2025”. Together we are not only expanding our portfolio, but also gaining new expertise in machine construction and strengthening Otrokovice as a technology site,” explained Bernhard Trilken, Head of Manufacturing and Logistics Tires. At the Otrokovice plant, we produce not only car, truck and industrial tires but also tire molds for the ‘Continental Molds and Machinery’ business unit (CMM), into which VÚK will be integrated. CMM is Continental’s internal developer and producer of tire assembly machines and tire molds. “We are looking forward to working with the around 90 new colleagues who will be supporting us from Otrokovice. 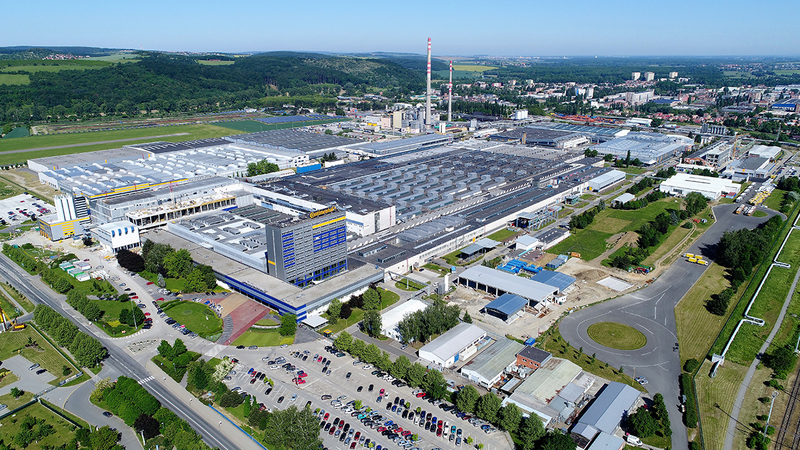 For us at CMM and for the Otrokovice site, this merger is an important component in consolidating our competitiveness,” stressed Didier Fuchs, Head of Continental Molds and Machinery. While the VÚK employees primarily specialize in mechanical components and machine assembly, the CMM unit has a great deal of expertise in the area of mechanical, hardware and software engineering and managing large projects, and has a worldwide service network for the tire plants. Alongside car, truck and industrial tires, the plant’s portfolio also includes tires with ContiSeal and ContiSilent technology as well as high-performance tires (so-called Ultra High Performance (UHP)). In addition, the site also accommodates a drive-test facility as well as tire design workshops. VÚK was founded in 1993 and based in Otrokovice, Czech Republic. The privately run company produces machines for tire assembly and organizes the entire production process from development to assembly and quality assurance.